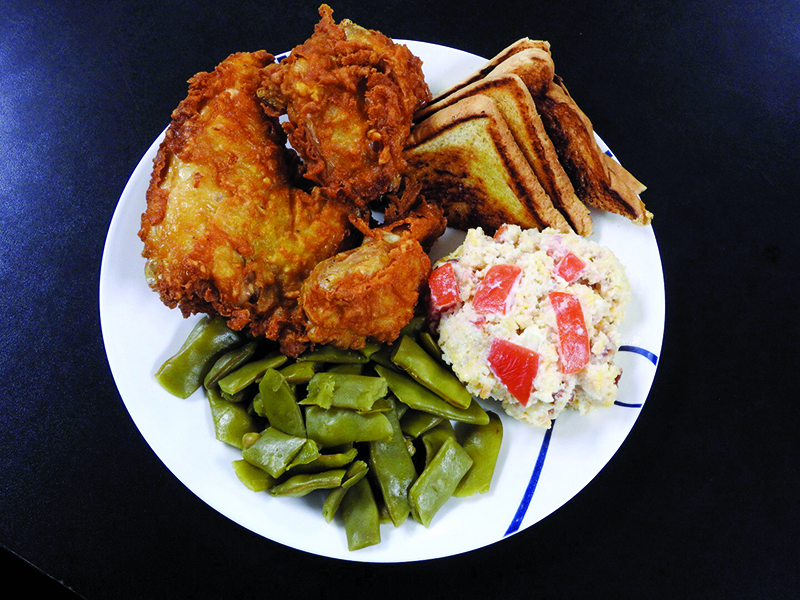 “We’ve got many great dishes, from our home-cooked breakfast meals, soup beans, catfish, roast beef, soups, steak, ribs, burgers and more,” says Jason Reed. He and wife Kimberly—the lead cook—opened Ole Bus Stop Diner four years ago in Booneville, served by Jackson Energy Cooperative. “With my background in business for the day-to-day operations and Kimberly’s talents of cooking great Southern food, our business took off and has continued to grow over the years,” says Jason. With a staff of eight employees, the majority of their food is prepared in-house daily. “Our menu items are prepared to each individual order—we’ve got something for everyone,” Jason says. A huge hand-written blackboard lists the daily special—meatloaf, mashed potatoes, green beans, roll, drink $7; entrées of the day—meatloaf, Salisbury steak, white soup beans, roast beef, tenderloin, country friend steak, soup; along with 12 sides ranging from fried apples or fried cabbage to macaroni salad, green beans or peas. And there’s more—grilled cheese, chicken sandwiches, burgers, or chili and veggie soup. There’s a different special each day of the week. And dessert? A smaller blackboard teases seven specialty milkshakes and five made-from-scratch desserts. “Peach cobbler is awesome; we’ve had people travel from San Francisco to have a serving,” says Jason. Breakfast is prepared daily with homemade buttermilk biscuits and homemade breakfast gravy. “We serve tenderloin, country ham, bacon and sausage, pancakes, waffles and delicious omelets,” says Jason. Open seven days a week, they “serve any meal all day long, including breakfast,” at 64 Mulberry Street in Booneville, (606) 593-5720.